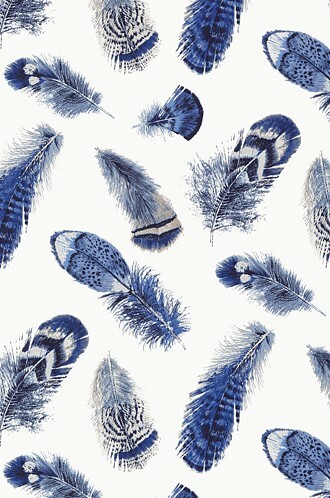 Absolutely LOVE the birds! 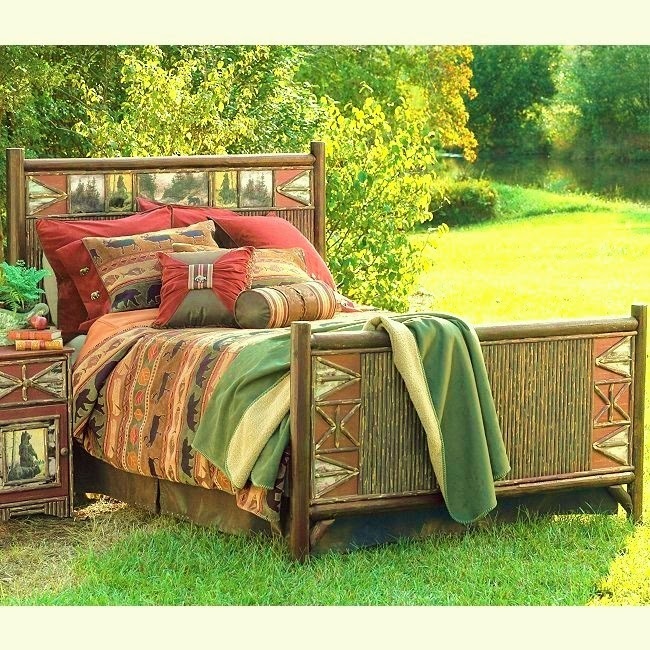 From Flat Rock Furniture Company. Gorgeous! 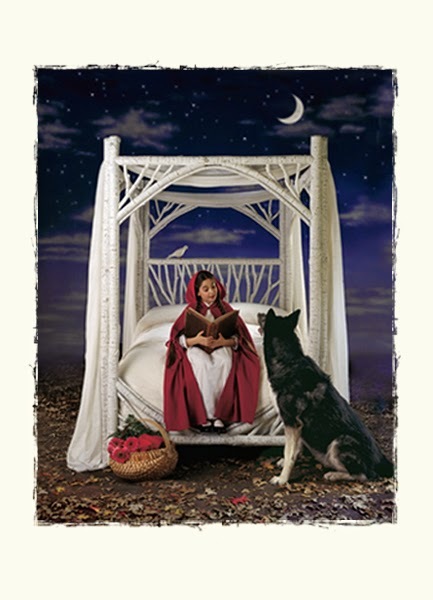 From La Lune. And it comes in a number of wonderful color choices. 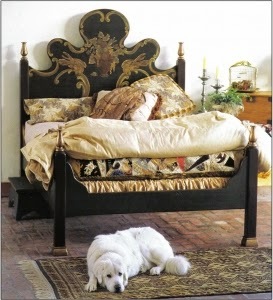 I like the painted panels on this bed from Black Forest Decor. 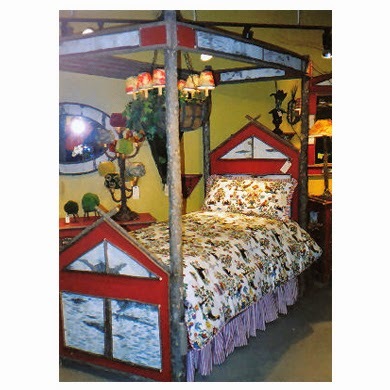 Everything this company makes is just so fabulously camp. And it all comes in the most wonderful color choices. 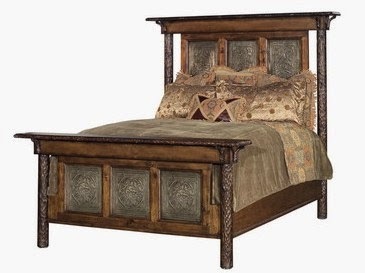 Rustic Revival Bed from Gennessee Trading Company. 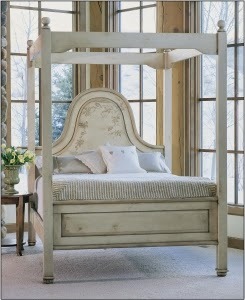 Classical style meets stick construction. 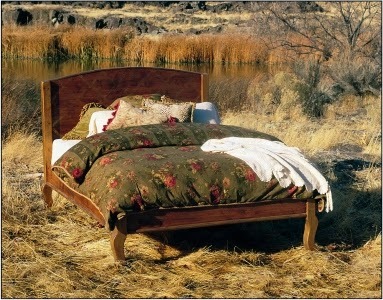 From Flatrock, this is the Clark Fork Panel Bed. Elegant! This charmer is from Willows At Home. Rugged and manly. 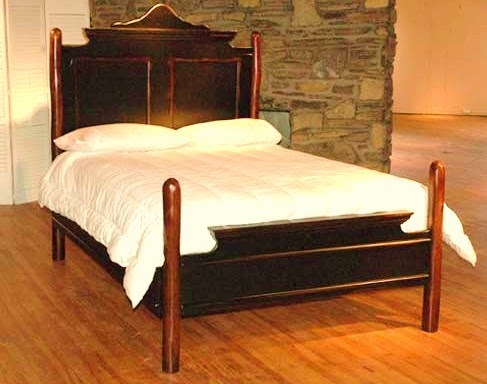 The Old Faithful bed from Old Hickory. Simply handsome. 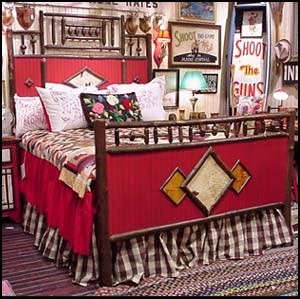 Old Hickory's Wagon Wheel Bed. 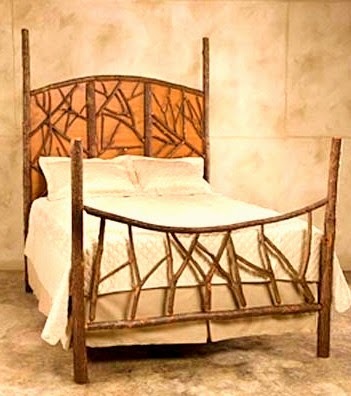 And finally, also from Flat Rock, the Forest Panel bed. I like the way the branches look like they've been scattered about on the forest floor. 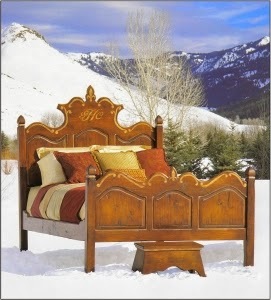 Here's a group of my favorite mountain house beds from Farmhouse Collection. This is the Windsor. Love it! 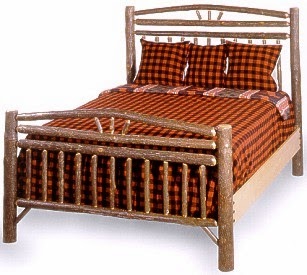 For European chalet charm try the Nikolina. 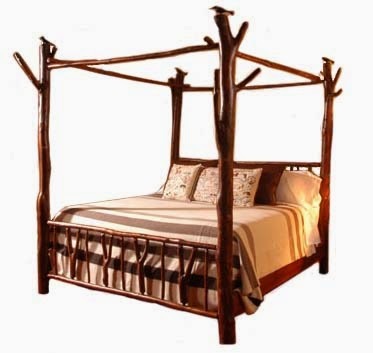 Ways to make mountain rooms more comfortable for living. If you can find the space for it, add a game table. These get used for so much more than games. Lap tops, homework, a shared cup or coffee, extra seating for large dinner parties, it’s not hard to think of dozens of ways an extra table can contribute to the ease and enjoyment of your mountain home. 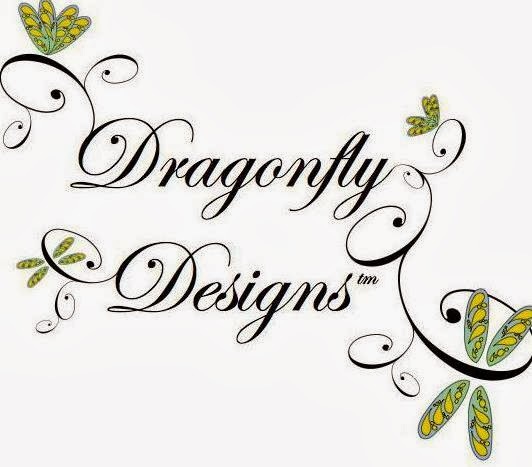 This table and chairs are the ones shown in the Dragonfly Designs project shown above. 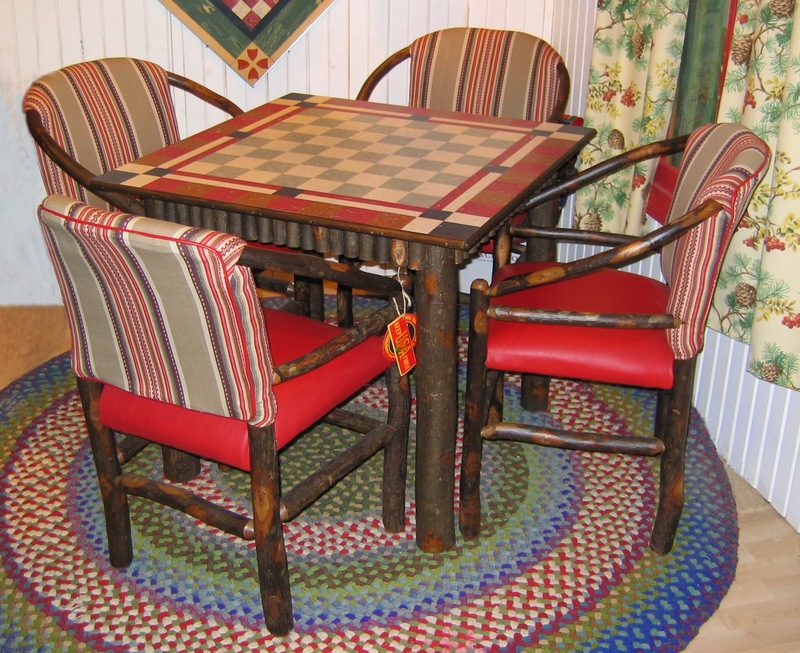 This is one of my favorite game tables from The Farmhouse Collection and the game chairs are from Century Furniture. 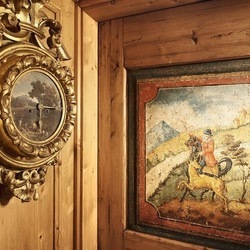 The table has an inset game board that reverses from chess to backgammon and conceals a hidden storage area for game pieces. Below is a square version of the same table. Game tables seat four people and are either round or square. They are usually 36-42 inches across or in diameter and at about 28" high, they are a few inches shorter than a standard dining table. Because of their dropped height, you’ll want to make sure that you select chairs that are suited to your table. If, like me, your idea of a great apres ski evening involves Lemon Drop Martinis, the card game Hearts, good friends and long hours of jokes and good-natured competition, you'll want to be sure to invest in the right game chairs. 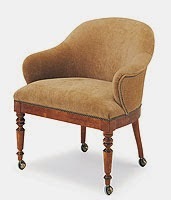 Game chairs are usually designed for comfortable sitting over extended periods of time. 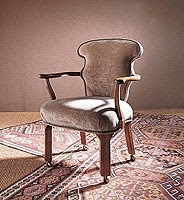 The best chairs have castors on their legs or are designed to swivel. Don’t make the mistake of thinking that you can just pull any four dining chairs up to your game table. 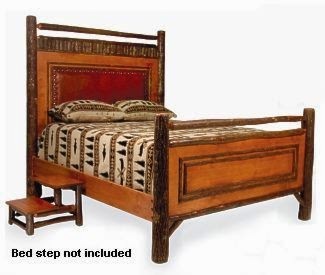 Chances are they will be too tall and won't provide the comfort you're looking for. 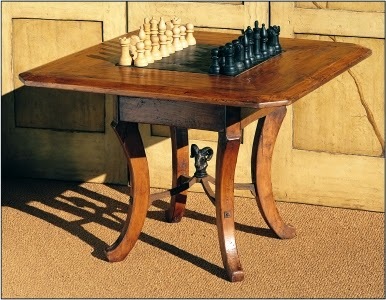 This beautiful game table and chairs is from Century Furniture and would look great in almost any mountain home. 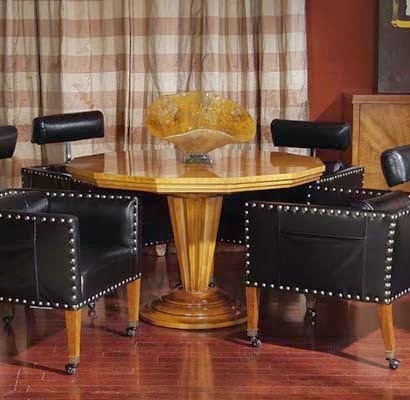 I love how the modern shapes on these chairs contrast with the rustic elements of leather and nail heads. Fabulous!! 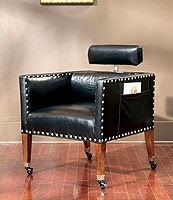 Century has a great selection of game chairs and several of them are perfect for cabins and lodges. Which one is your favorite? 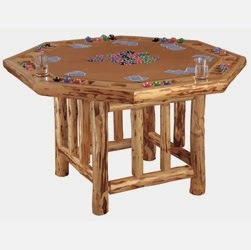 Here's an affordable game table that would look charming in any cabin. For more information click here. The Halo Styles chair I've selected to go with it is very comfortable and seems to make both men and women happy, something not all chairs are able to do. 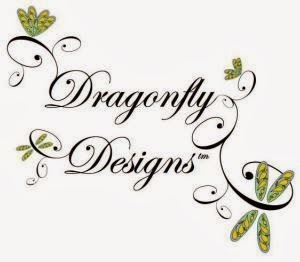 Furnishings shown are available to order through Dragonfly Designs at (530) 583-6076 or dragonflytahoe@att.net. Cubes are the single most practical item you can add to your great room or living room. In fact, I use them in almost every project I work on. 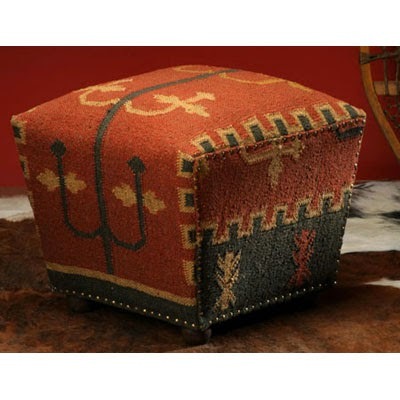 A cube is a little ottoman or stool that is upholstered on four sides and the top. It is usually 18-20” by 18-20” and about that tall, also. I like to tuck cubes in between the fireplace and the coffee table where they can be used for extra seating or perching by the warm fire. 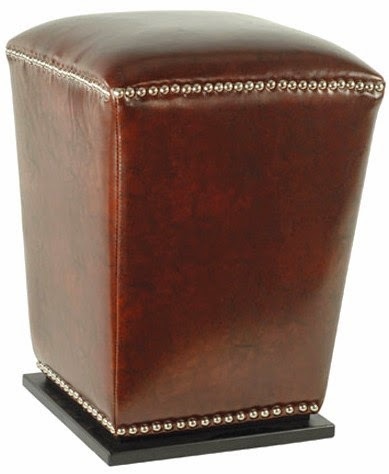 If your room simply won't accommodate lounge chairs with matching ottomans, try cubes. 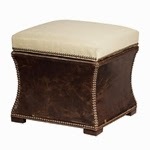 They are great for pulling up to use as a foot stool, and take up much less room than ottomans. 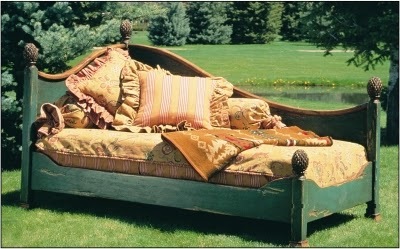 Or try putting several together to create a coffee table (see photo above). Cubes are especially handy for large crowds. 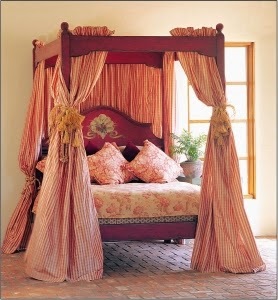 They can be pulled into the room and placed wherever they are the most useful for extra seating. Or, If you are serving a big buffet dinner, people can pull them up to the coffee table and use them for dinner seating. One of the best things about cubes is that they can be slipped into most rooms without taking up significant floor space. Then you can move then around when you have a crowd. I find that the most likely place to place them is in that often dead space between the coffee table and the fireplace. However, you can also try tucking them under the coffee table if you have 18" of clearance underneath. Alternatively, if you have a console table behind your sofa, you may be able to place two cubes side by side underneath it. You can even use a pair to flank a chest or desk against one of the walls. I love this cube by Barclay Butera, above and have used pairs of them in several client projects. The top flips up for extra storage…fill it up with the kids toys. Isn’t it handsome? The photo above shows one of a pair of cubes I had custom-made for a client. 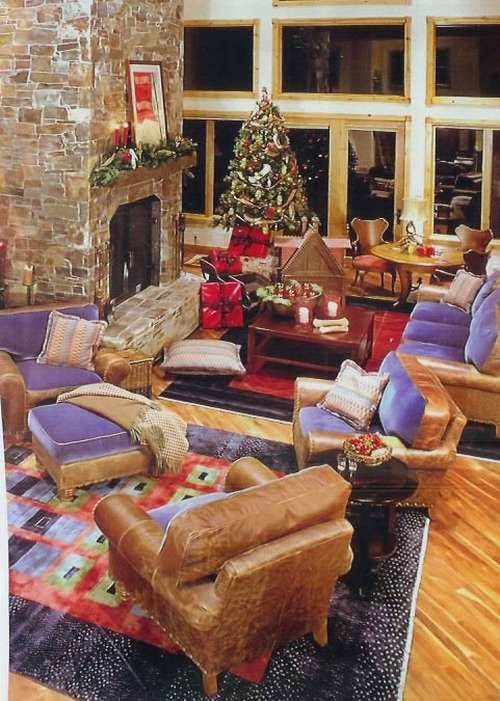 She has a huge gorgeous old turn-of-the-century stone fireplace and likes to pull the cubes up close when it's in use. Otherwise, she has placed them next to the sofa where they are often topped with a tray to hold a drink or magazine. This is a perfect example of how cubes perform dual roles.